So, as the sun sets on the adventure which has been the Transformations project, some final thoughts. I carried out a Jisc Resource Review to systematically examine and catalogue available Jisc resources, those which have been used within the project, those which need to be examined. 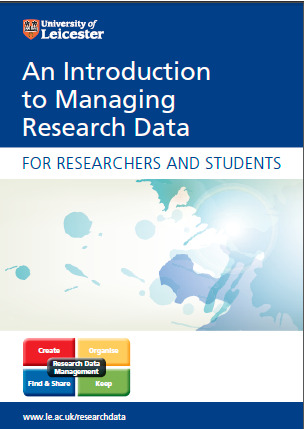 I also produced a catalogue of the Jisc MRD (Managing Research Data) projects and their respective aims, objectives and planned outputs/outcomes. Having only been able to attempt this late on (the work being more ad hoc to this point) I realised how beneficial it was. Having been aware of a number of the projects and met many of those responsible, it was only through doing that I got a full picture. It leaves me with a good basis to look at project products and how they might be used/adapted/learned from here. 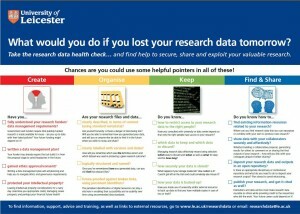 A lesson for Jisc then is to make this information as easy to find as possible. I have completed development of an Impact and Benefit Framework using this project as the test case for it in practice. With good timing I was also able to liaise with the Evidence Gathering team working on the results of the Jisc MRD programme. After a lot of work and head scratching the required project Digital Story has been delivered. For me this was a major task, well out of my comfort zone (long-winded reports? – I’ve been doing them for years, and whilst not quite able to do them in my sleep …) and all the better for it, requiring a different way of thinking. Whilst I guess I could have completed this by speaking for a couple of minutes into a microphone, I thought it was worth trying to create something that could be positively used to promote RDM at the University (not hidden away in embarrassment). Well you can only try…To be honest I’m very happy with the end result, largely because of the help I’ve had to turn a series of ideas and pictures in my head into reality. Think… I want zeroes and ones dropping off the screen with some techy background noise… and confectionary on a cousin – well you’ll have to watch it to get that one.To cut a long-story short I think this method has lots of potential and intend to use it more to promote and describe RDM. In conclusion I think the Transformations programme has been a very good idea, and a real lever to get some immediate positive impact, with relatively little funding. The Outcomes event at Aston (see previous blog) affirmed that positive feeling. As much as anything, personally this style of working, tying the ‘day job’ to ‘research’ or ‘innovation’ (or whatever word you wish to apply) feels very productive. Being based in a University this seems to be non-controversial (particularly working in a research related role) but sometimes feel there is a real dichotomy between ‘corporate’ and ‘research’. One of the things I am thinking is, as Jisc MRD projects in general are also completing, is what happens now? What really is the future of RDM within UK Universities? There are questions of how to continue to harvest benefits of Jisc MRD, and the need to foster continued and further collaboration – sharing of experience and output being a particular feature of the programme. I’d like to hear what others think about this. Also to the front of my mind is the need to focus on better communication and impact. This relates to the link between output on the one hand, and outcome and impact on the other. To what degree is good work on MRD actually changing things? – awareness, understanding, attitude, behaviour, practice. Here as elsewhere there is need for various forms of effective, flexible communication and support. In this respect, from initial experience the use of digital storytelling does seem to have potential in terms of being a direct, short, immediately compelling medium. It will be very interesting to survey the range of methods used nationally and internationally. So thanks to all those I have encountered and learnt from during the last 12 months, and here’s hoping the learning and improving doesn’t stop. This entry was posted in Uncategorized on July 31, 2013 by amburnham. As dusk begins to fall on this Transformations project I have managed to spend a little time doing something that I would have really liked to have dedicated a lot more time too, a lot earlier – reviewing Jisc, Jisc related and other resources. The purpose of this is to, a) examine the utility of Jisc resources, b) get a better idea of what is out there more generally which could be used directly or influence our own work, c) reflect on what we have used thus far (and as so much has been done over the last year I have trouble remembering, particularly the many resources we have signposted on our RDM website). It seems obvious really, that horizon scanning should be done early (and not just because I promised it in the project bid) but on reflection now I am realising how much more would ideally have been done. Equally so much is happening in the world of RDM that it is a real effort to keep up an on-going vigil, monitoring developments, project reports, outputs, conferences etc. It emphasises both the need for effective, multiple channels of communication (and networks of contacts), and the realisation that monitoring developments and evaluating resources is a constant requirement. So… does anyone else often finding themselves thinking/saying “Ah yes, I think I remember someone has done something about this and I was looking at it somewhere”? Equally the challenge that this deluge of information and of potentially valuable resource places on me and people like me needs to be in mind when we expect researchers to be hooked by and ingest RDM related information. There are real issues here about what is manageable, what information needs to be communicated, how and when for best effect. This is one of the reasons I am thinking the use of Digital Storytelling could be useful within RDM to provide an immediate, interesting, short burst of information. In the context of the above I was sent a spread sheet earlier in the project showing the Jisc resources which exist, could prove of use, and could be reviewed. On this there were 177 resources of various types. Things are also changing rapidly, most obviously because of the progress of the Jisc MRD projects, their completion and the releasing of output. Looking at this, and continuing valuable and rewarding contact and collaboration with these projects is something I would very much like, and hope to prioritise hereon. Jisc resources already used (guidance, training, methodology, on-line tools etc. ), how used and with what benefit. Specific Jisc Resources I have already looked at but need to review in more detail (currently there are 37). Jisc MRD programme outputs used. A catalogue of all Jisc MRD and related projects (their stated aims, outputs and outcomes) as a framework for on-going horizon scanning and detailed resource review. This entry was posted in Uncategorized on July 18, 2013 by amburnham. The grandly titled “Transformation Impact Summit” took place at Aston University on 20 June 2013. Interestingly there was no programme/agenda produced prior to the even so there was little clue about how it would go. The event was introduced and managed by Lawrie Phipps, Transformations Programme Manager. The novel approach was taken of not focussing the day on project presentations. Instead the day was dedicated to discussing the experiences we’ve had and reflecting on the impact that the project has had on our own ways of working and on the wider organisation. Splitting off into self-selected groups depending on subjects of interest much of the discussion focussed on the characteristics of the Transformations projects – the challenges and benefits of such short-term, small budget research projects, particularly in comparison with conventional large projects. They typically don’t have a clear start and end point. There is strong emphasis on demonstrating impact. They encourage a broader range of involvement than large projects – barriers to entry are less. They encourage people who may not otherwise have an opportunity to be involved in research projects. There was encouragement to Jisc to provide structure and clear output demands – being relatively short and small scale there are benefits of structure and clear objectives/requirements. There is significant impact not so much from the budget but with association with a formal project, the involvement of Jisc and need to provide evidence of progress – it provides a framework and justification to deal with issues you think are important, and have been judged worthy of support by Jisc. Debate about whether this can be regarded as ‘research’, ‘applied research’ or ‘innovation’. They provide an alternative in comparison with large projects, potentially providing good value for money – numerous projects, providing a relatively high number of opportunities for impact. Overall there was very positive feedback regarding the nature of Transformations projects. This entry was posted in Uncategorized on June 25, 2013 by amburnham. One of the project deliverables which academics have also been asking for is data management and data management planning guidance which is, a) discipline specific, and b) institution specific. This is something I had been conscious would take a lot of time to produce. I made a start a months ago, first looking at a document which would support researchers producing proposals for AHRC funding (on the basis that I have had a fair bit of contact with researchers at the University who are putting together AHRC bids, and have found I needed to write parts of the Je-S form). When writing this document my suspicions were confirmed as a) this did take some time, and b) I had worrying thoughts about how many other documents would be required. As has been the case with many other issues I also had thoughts at this point about whom, if anyone had produced or were producing similar documents. This often proves to be the case in the world of RDM as there are numerous institutions working through Jisc ‘Managing Research Data’ projects, and we have developed relationships with people at other Universities through Jisc RDM events (nice work Jisc!). In this case I found the University of Bristol were launching their data management planning documents through the data.bris project (data.bris.ac.uk). Even better, I found the documents were well written and just the sort of thing I had been starting to plough though (see http://data.bris.ac.uk/research/planning/). Even better still, making contact with Stephen Gray at data.bris I was very pleased to find that they were happy for me to pick up the documents and to re-purpose them for Leicester. I have now produced a number of documents which are currently out for review with members of our Research Computing Management Group. I hope to launch these prior to the end of the project. The fact that this is looking a possibility is significantly down to the co-operation of colleagues at Bristol. This entry was posted in Uncategorized on June 10, 2013 by amburnham. Research funder proposal success rates – a driver for RDM improvement? During the last week I have been thinking about possible drivers for improvement within research data management. This links to the requirement for Jisc project evaluation work – a subject I have blogged about previously – and the focus on questions such as “what is it that can prompt change?”, “what are the issues which will grab attention within the University?”, and “beyond the many sticks, what are the carrots?”. 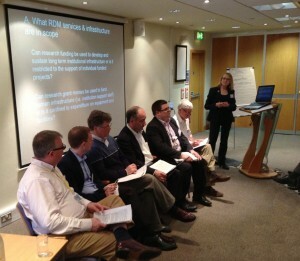 Having attended a recent DCC/Jisc funders’ event at Aston (http://www.dcc.ac.uk/events/research-data-management-forum-rdmf/rdmf-special-event-funding-research-data-management) it was good to see a conversation starting regarding the funding of RDM and the potential impact of poor RDM and IT practice demonstrated within the bid process and within project. This has led me to think about the issue of research proposal success and failure. Coming at the subject from a perspective of ignorance (not a first) I have pondered – what do we know about the success and failure of research proposals at this University and across the country? With a little digging I have managed to locate details of success rates over the past 5 years or more for AHRC, BBSRC, EPSRC, ESRC, MRC, NERC, STFC. In addition I have some information from Wellcome Trust and also The Times Higher has provided RCUK wide data for the last four years. As I said above, from my perspective of ignorance, I am wondering how institutions use such data alongside the specific feedback provided to PI’s within the proposal process. The issue then is to consider how bid support, whether it be, for example, by contributing to or reviewing data management plans (alongside other proposal elements) does/can contribute to the success (or avoidance of failure) of research proposals. This entry was posted in Uncategorized on May 29, 2013 by amburnham. So how do you think we are doing? 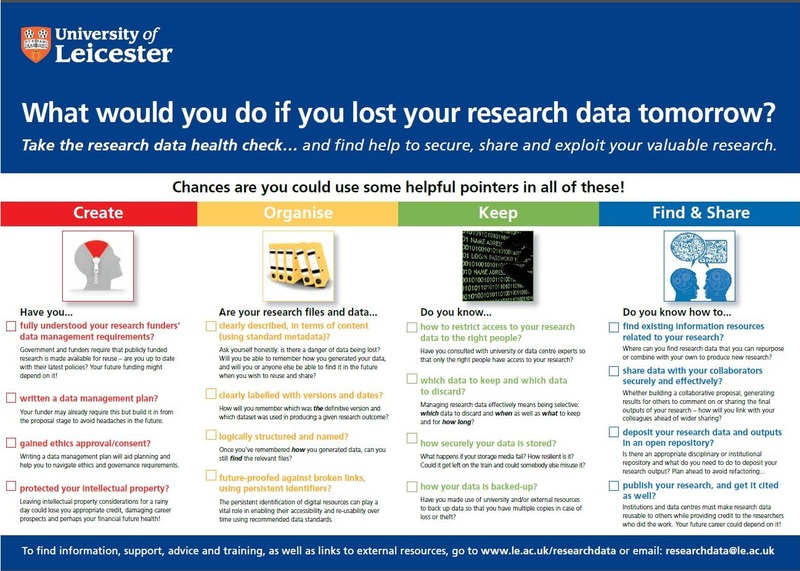 OK, we’ve done some work to raise the profile of research data management, it’s being talked about a lot at our Research Computing Management Group, and we’ve created communications material. But, what difference has it made? (cue the sound of The Smiths in my head). Like Ian Hall at University of York who is undertaking a similar project, I have been looking at putting together a survey to provide some feedback about our efforts. In doing this I’ve drawn the conclusion that whilst the Transformations project is drawing to a close, the position of RDM within the University is that it is not so mature as to make a general impact survey a worthwhile effort. I think that in reality we are on a fairly long journey with this and it would be unrealistic to expect researchers in general to be able to provide meaningful feedback. So, do I think that we have had an impact on all researchers? No, clearly not. There have been and continue to be difficult challenges in this area as to how best to approach RDM improvement – raising general awareness, reaching and attempting to achieve ownership and engagement by senior staff, creating pilots, targeting individual researchers or all PGRs, using existing and ad hoc researcher contacts (in my case through work in IT) etc. Of course there are also various local variables to take into account such as financial support for the work, what local priorities are currently and so on. So, it’s not going to happen over-night – there simply isn’t the motivation or resource – and there are many individual steps, none of which will be revolutionary. In terms of a survey then my conclusion is that to take a realistic approach I will be initially targeting those most involved with RDM work. I’ll be asking about both impact and quality of our RDM output (and comparing the responses), and knowledge, attitude and practice changes (personal, and with regard to others). This entry was posted in Uncategorized on May 24, 2013 by amburnham. I recently spent a day with colleagues from The University of York (thanks Ian and Liz – http://uoy-rdmproject.blogspot.co.uk/) and Mark – “Critical Friend” for our group of projects (the enigmatically titled “Black Cluster”) talking about our Transformations projects. It was the first opportunity to do this during the year-long project. On reflection I think it was a very useful way to spend a day. I think we all agreed that we have found considerable benefit from the structure of this and related Jisc programmes (particularly MRD – Managing Research Data) whereby a number of universities have been supported to do complementary work, and to produce output which is designed to be shared and re-purposed. It was particularly refreshing to spend a day in a small group setting with people open to share experiences and reflect on their own and others’ work. I think this is particularly valuable as RDM is a subject where much of the interest and expertise sits with colleagues at other institutions rather within our own. I am hoping that this will lead to collaboration between us. This entry was posted in Uncategorized on May 7, 2013 by amburnham. Current issues/problems that you face/Why are you carrying out the project?/What needs to change? Having gone through this I thought it would be interesting to look in some more detail at evaluation, impact and benefits. I did this by using the above Jisc framework but also including elements of the Cranfield School of Management “Benefits Management” approach. The third angle I came to this from was to adapt some of the work I did a few years ago (Reference 1. below). This of course nods towards the well versed tendency for organisational projects and developments with technologically deterministic leanings where the risk is that the starting point is a technical solution in search of an organisational objective and change to fit to it. Yes, of course it sounds like an elderly cliché but lucky are those that work where it doesn’t happen to a lesser or greater extent. The perspective I bring to this from my previous research (I was working within mental health services, developing IT and clinical systems, analysing psychiatric outcomes data etc.) is consideration of how we understand organisational change (notably that which involves IS/IT) and the human and organisational aspects of change. Here there is need to challenge preconception about how individuals, groups and organisations think and behave, in relation to what may be seen as prevailing assumption about change, based on what can be seen as organisational logic. To cut a long story short this led me to challenge understanding of change, to consider reasons why things are more difficult than you would expect. I did this within the context of mental health services and IT projects and development – a particularly challenging environment to think about why things are complex, why things are very difficult to get right, why unexpected things happen, and to what extent they are related to the organisations and people involved rather than the technology supposedly at the heart of change. More than most, in this context theory and practice demonstrated that implementation of IT without a clear understanding of human and organisational issues, and a strategy to deal with them, was likely to considerably lessen the chances of success. 3. Match 1. and 2. Document where in the analysis of context each of the defined items relates. This is something I will be working on, and may or may not prove generally applicable. So far however I have found it to be a useful means of looking more deeply at what it is we are trying to do, why we are doing it, and develop realistic understanding of where we may actually get to, what problems we may encounter, why we may need to temper ambition. The result is that we may be better at anticipation of issues, should think very early about this, and early on develop tactics to achieve benefits we are after. I’d be interested to hear thoughts on this and hear from anyone who has been looking at the issue. This entry was posted in Uncategorized on April 4, 2013 by amburnham. “Achievements, Challenges and Recommendations” was the title of the Jisc Managing Research Data workshop which I attended this week (25-26 March, Aston Business School). It was a really busy programme with numerous presentations from those in the MRD programme and others, structured around the themes of what is now termed the “RDM Support Service”. As this is the theme of my Transformations project it is all relevant stuff. Whilst there was an awful lot to take in, with so many people there (approaching 100), so many institutions represented, and with the inclusion of external and international contributors it provided a great opportunity to find out what people are doing and achieving, and of course to compare and contrast with personal experiences and progress. Congratulations to all those people who have achieved so much. The scope of RDM, its interfaces and whether for example it is thought to include, be related to or separate from Open Access publication. Numerous approaches to website development which show some similarities e.g. creating a single “research data” email contact, but also quite stark differences e.g. considered and collaborative development versus more “agile” or pragmatic approaches, minimal content (emphasising signposting resources and support) versus comprehensive content, and assumptions of sites being fairly static (who will be resourced to maintain long-term) or versus evolving. International comparison with presentations regarding experience in the Netherlands, Germany and Australia. I also found the poster presentation a useful element with the challenge to distil significant projects into a single A3 (or larger) poster. The effort from Leicester is shown above (click on the image to see a larger version). This entry was posted in Uncategorized on March 27, 2013 by amburnham. I’ve been thinking recently about the range of issues I am dealing with through my job (bridging research and IT at University of Leicester), other projects I am involved with (IG lead for the BRISSKit project – https://www.brisskit.le.ac.uk/) alongside my general activity and the Transformations project. A focus of the Transformations work is the relatively rapid required progress from consideration of, and provision of advice, support and training around general RDM matters, to that which is discipline specific. The fact that the University is concerned significantly with health (there being a College of Medicine, Biological Sciences and Psychology), that contacts I receive concern IT and data issues from this area, and given my own background of working in the NHS, I am thinking more about how RDM services and IT Services communicate with and support those areas of the University. This I think reflects that we need to deal with questions at bid stage, through to projects in action, and specific data and IT challenges. Often this means an understanding of the close and often complex relationship between the health and University domains. This entry was posted in Uncategorized on March 15, 2013 by amburnham. amburnham on Video to kill the long project report? Andrew Stewart on Video to kill the long project report?